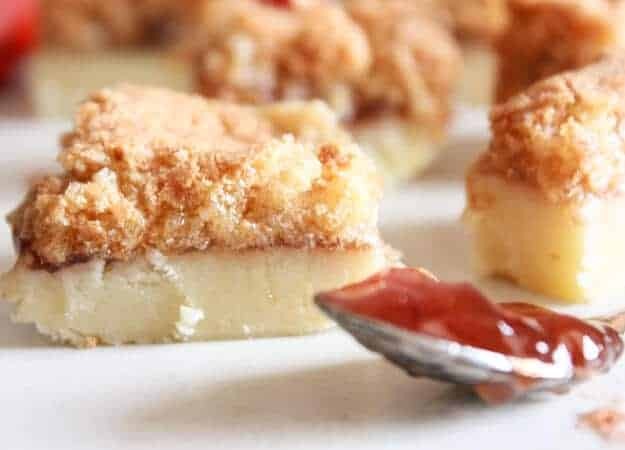 Coconut Jam Squares one of the Best Melt in Your Mouth Shortbread Squares, three perfect layers make this a Bar Cookie that will be the first to be eaten. I know it isn’t friday, and you are probably thinking “doesn’t she usually do desserts on Friday? Today, it’s Sunday”, I know this is unusual, but there is a reason for this unscheduled update. As I’m writing this blog post, I am packing my suitcase and adding some last-minute items to it, because tomorrow I am flying back to Toronto, Canada. My eldest daughter is graduating from college and I will be there cheering for her in the crowd at the graduation ceremony! 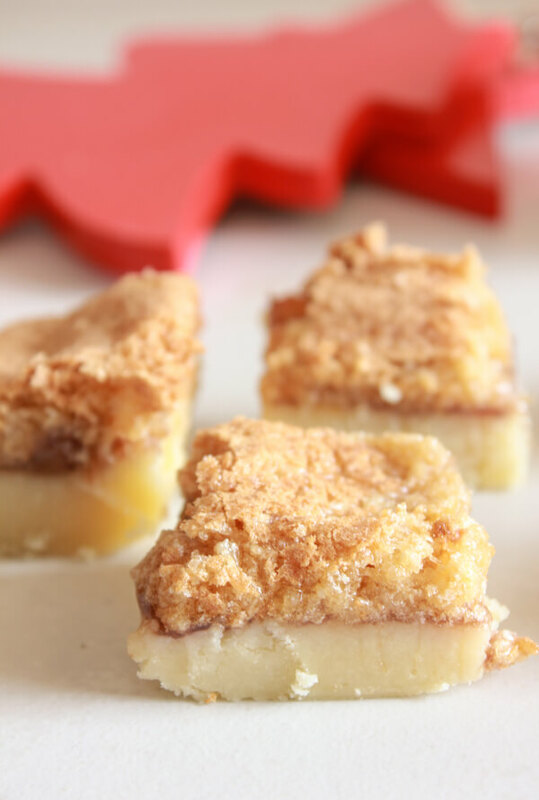 So, in honour of my return to Canada and finally getting to give my daughter a huge hug and kiss (and all the rest of my fantastic family and friends) I have decided to share these squares which were probably one of the first Desserts my Mother ever made, after of course those fabulous Hello Dollies, or what do they call them now? seven layer bars? But I love these coconut jam squares more. These are fabulous, and that is coming from someone who isn’t even crazy about coconut. These coconut jam squares offer everything. A Shortbread base, a sweet center, and that fabulous meringue/coconut topping, to die for. What can I say, I love food, I believe I am a very lucky person, because I married an Italian. I consider myself a lover of all cuisines, but I must say, personally I think Italian is one of the best. But at the same time I like to mix-and-match and I think every good dish of pasta deserves an amazing dessert, even if it is a cookie or a square. I can remember when my mother used to make these squares and then freeze them, because you never knew when they would be needed. I didn’t care, I would slip down to the freezer and I wouldn’t think twice about taking out a few, even if they were frozen! Now I don’t even have to eat them frozen or wait till they thaw. I make them myself whenever I feel like it. Perks of being a baker! I think sometimes the best foods are the ones that remind us of wonderful experiences we lived or have the ability to produce amazing new memories that we will hold on to forever. 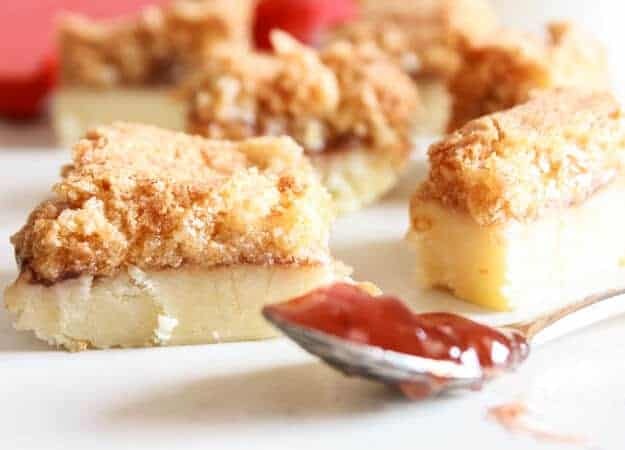 For me these coconut jam squares embed the essence of both, past and future memories. So give them a try and Enjoy! Coconut jam squares, delicious Christmas shortbread crust, jam filling and a coconut, brown sugar meringue baked topping. Melt in your mouth yumminess! *I use salted butter, if you use unsalted then add 1/4 teaspoon of salt instead of a pinch. Topping: in a medium bowl, beat egg whites until stiff, add sugar, salt and vanilla, mix well with a wooden spoon, fold in the coconut, set aside. In a medium bowl cream butter, add sugar and blend well at medium speed, gradually add flour,salt mixture, when well mixed, spread and pack lightly in a 8" (20 centimeter) cake pan. Spread thinly with jam. 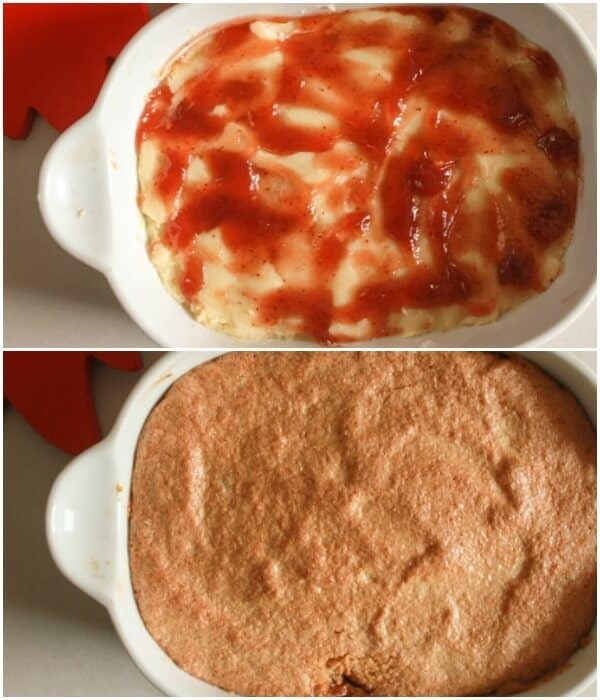 Cover with topping and bake in a slow oven for approximately 35 minutes. Cut into fingers when cool. Enjoy! I used to go down to the basement freezer with my sister and get squares that were put away for some festive occasion. It is a wonderful memory. Much older now and I love to think back on those times! Those squares just tasted so good! It seems like we thought nobody else ever did such a thing. I guess everyone would think the same thing. 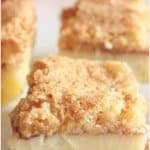 These Coconut Jam Squares look delicious! Can they be frozen? Might that affect the meringue topping? Hi Linda, thanks, and yes they can be frozen, my Mom used to freeze them all the time. I don’t because they are my absolute favourite and they never get that far. 🙂 Let me know how it goes. Thank you , they have always been my favourite.